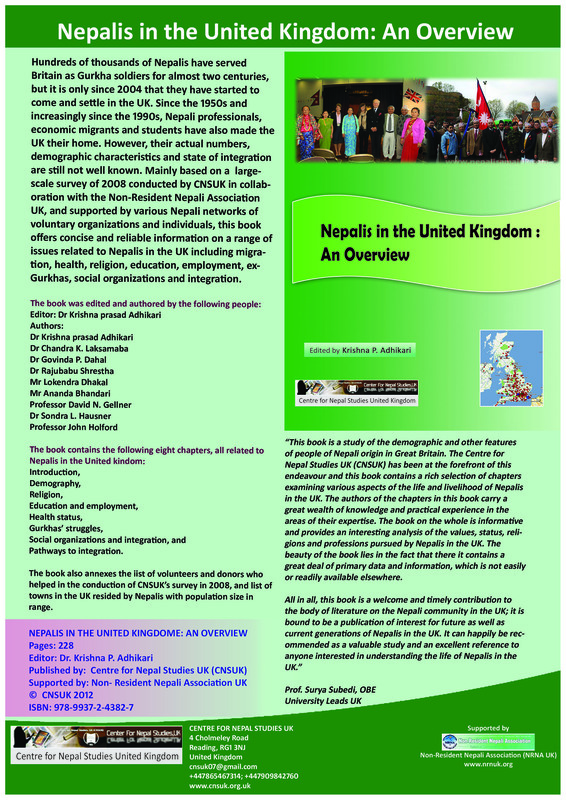 Notification of new publication: Nepalis in the United Kingdom: An Overview. Hundreds of thousands of Nepalis have served Britain as Gurkha soldiers for almost two centuries, but it is only since 2004 that they have started to come and settle in the UK. 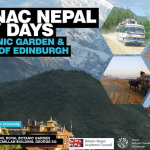 Since the 1950s and increasingly since the 1990s, Nepali professionals, economic migrants and students have also made the UK their home. However, their actual numbers, demographic characteristics and state of integration are still not well known. 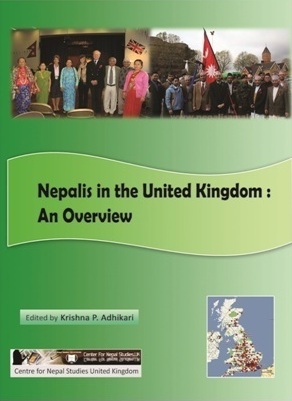 Mainly based on a large-scale survey conducted by CNSUK in collaboration with the Non-Resident Nepali Association UK, and supported by various Nepali networks of voluntary organizations and individuals, this book offers concise and reliable information on a range of issues related to Nepalis in the UK including migration, health, religion, education, employment, ex-Gurkhas, social organizations and integration. Please click here for a flier with more information.